Join us for our Open House Saturday, March 2nd from 10 am-12pm. Come learn more about our cooperative school, meet our incredible teachers, tour our classrooms, and check out our natural playground. Kids welcome to come explore their future school! Registration available on-site, bring your checkbook. Our cooperative learning community brings together children, parents, and teachers in meaningful play. We develop collaborative relationships and explore environments, experiences, and activities that encourage curiosity and wonder. We value who children are, celebrate their unique gifts, believe in their capabilities, encourage their interests, and honor their feelings and ideas. Parents take an active role in the classroom and are involved in all aspects of their child's learning experience. As a result, the relationship between families and our school extend far beyond the playground. The sense of community between teachers, parents, and children creates a nurturing, caring space for young minds to grow, tender hearts to open and an inspired life to begin. The joy and instinctive sense of wonder and delight that play brings validates it as the most central, natural, and important aspect of childhood. Believing in a play-based philosophy is simply accepting that children naturally engage in and enjoy play as a means of learning on their terms, in their own way, and at their own pace. Part of having a long history in the community means that our adult alumni return with their children. We have some families that have attended CHKP for three and four generations. When your child walks into our school, they are free to explore and create in classrooms that are alive with possibility. We provide an experience that nurtures core values such as kindness, friendship and compassion. Creative opportunities in the classroom, garden and playground inspire young spirits. This connection and sense of community gives little learners the security they need to stretch their wings and experience the joy and wonder of childhood. We know that children learn best at this age by doing. They are explorers actively interested in learning about the world around them and constructing new understanding through experimentation and play. We support this by providing classrooms with engaging learning environments. We're proud of our reputation as one of one of the most highly-regarded early childhood programs in the Portland area. Our rich history of cooperative learning has been a tradition for over 60 years. 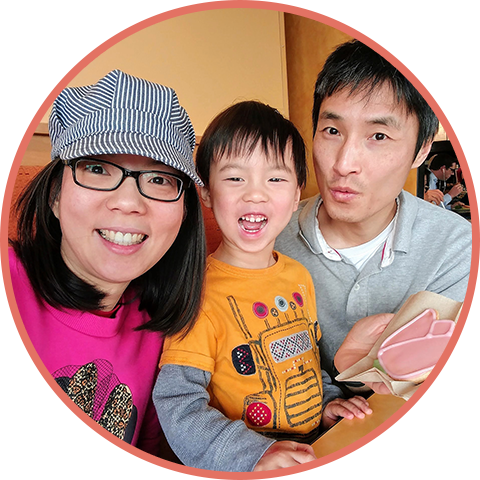 Part of having a long history in the community means that our adult alumni return with their children, some of which have attended CHKP for three and four generations. Our cooperative learning community brings together children, parents, and teachers in meaningful play. We develop collaborative relationships and explore environments, experiences, and activities that encourage curiosity and wonder. We value who children are, celebrate their unique gifts, believe in their capabilities, encourage their interests, and honor their feelings. Linda Romanowski is masterful at developing strong relationships with her students, fostering independence and self-regulation, facilitating peer conflict resolution and enabling the children to solve problems. Her kindergarten curriculum is child-centered, academically rigorous and developmentally appropriate. 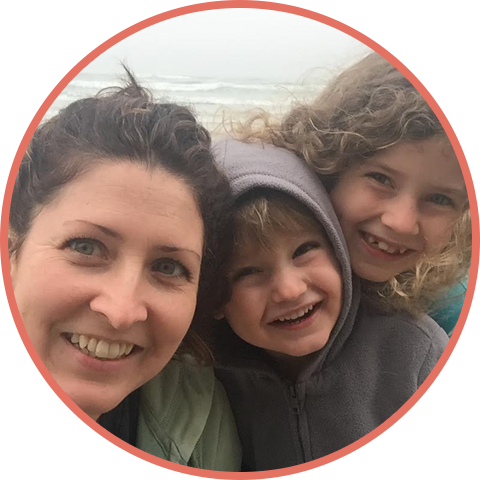 She offers academic opportunities within a playful context, hearing the ideas and passions of her students and creating educational instruction that meets the needs of each child. 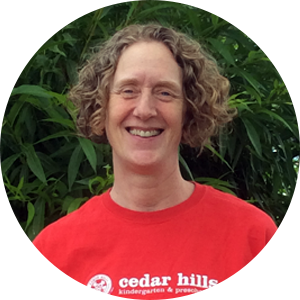 Lora Dierker builds classroom curriculum that draws on her love of music and the outdoors to bond and educate her students, sharing fun and educational music, practicing yoga with the children and utilizing hikes, gardening and outdoor adventures as educational tools. Conflicts in her classroom are met with calm guidance and her focus on teaching conflict resolution leaves her students with solid skills that will benefit them far beyond preschool. Julie Miller believes that the cooperative setting is the best possible start for families of preschoolers. In this environment, her curriculum supports the children as they grow their emotional literacy and social skills, teaching them how to make friends, ask questions to support their learning and to enjoy the process. Her focus on collaboration and relationship-building allows her to be mindful that not one approach works for every child. We'd love to give you a personal tour of CHKP and answer your questions! Fill out the form below and we'll reach out to confirm a time that works for your schedule. We can’t wait to show you our school! Our class representative will be reaching out shortly to set up your tour.